But he is in process, so every day Yana waits. She waits to receive the news that Farid has been approved to come to Houston. She waits as Farid tells her he was mugged on the way to the passport office, all the cash that was saved up for the passport stolen, thus delaying his process even further. She waits for his daily phone call, for him to update her on his daily life as the newlyweds try to stay connected. As tempting as it is to give into self-pity, Yana’s waiting is not passive. No, she has found a job, she is learning English, and she is making plans to move to a more suitable apartment for the day when Farid arrives. Motivated by her love for her groom, Yana, the bride, waits. Likewise the Church, the bride of Christ, waits for her groom. We wait for the day of the Lord’s return, when there will be no more wars that separate families; for the day when sorrow and suffering are wiped off the face of the earth; for the everlasting day when gladness and joy fill the land. In the waiting, what about us Christ-followers? Is our waiting passive or active? Do we seek to fulfill God’s commandments to serve the least of these, to welcome the stranger, to offer hospitality, to love our neighbor? As a bride anticipates being reunited with her groom, let us ask ourselves how we—the body and bride of Christ—will present ourselves to Christ in the Day. Will we be found faithful? Let us seize, then, every opportunity to lift up refugees, remembering that we, like Yana, wait for the day our hope will be realized. Cindy M. Wu is a wife and homeschooling mom in Houston, TX. In her “spare time” she enjoys researching and writing on global Christianity and refugees, as well as serving in her community. 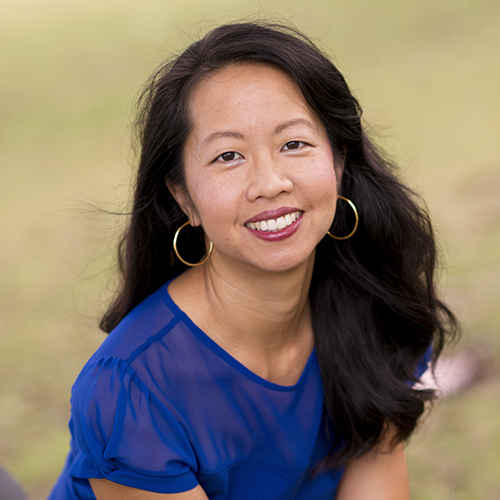 She is co-author of Our Global Families: Christians Embracing Common Identity in a Changing World (Baker Academic, 2015) and author of A Better Country: Embracing the Refugees in Our Midst (William Carey Library Publishers, June 2017), a resource challenging Christians to respond to the global refugee crisis.